There is almost no boy in this world, who don’t like cars. 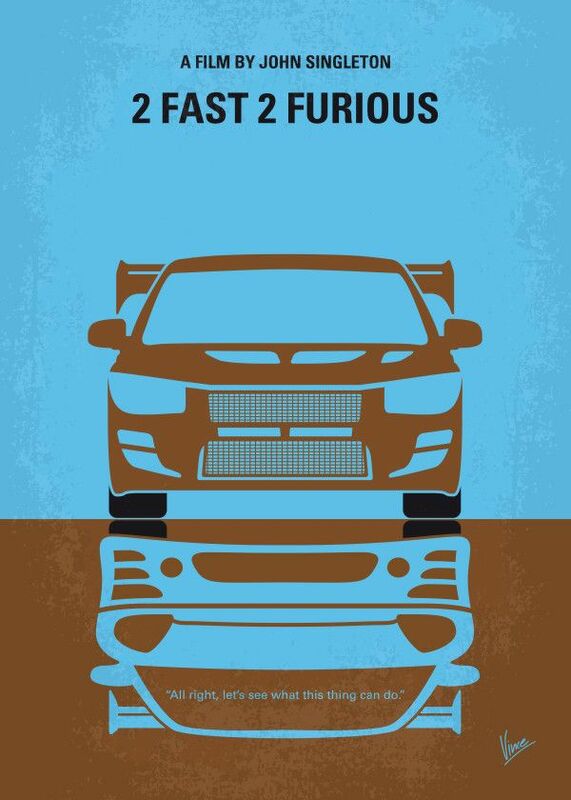 And all guys, who love cars, have watched Fast And Furious movie series at least once, and dreamt of having a huge collection of super cars. 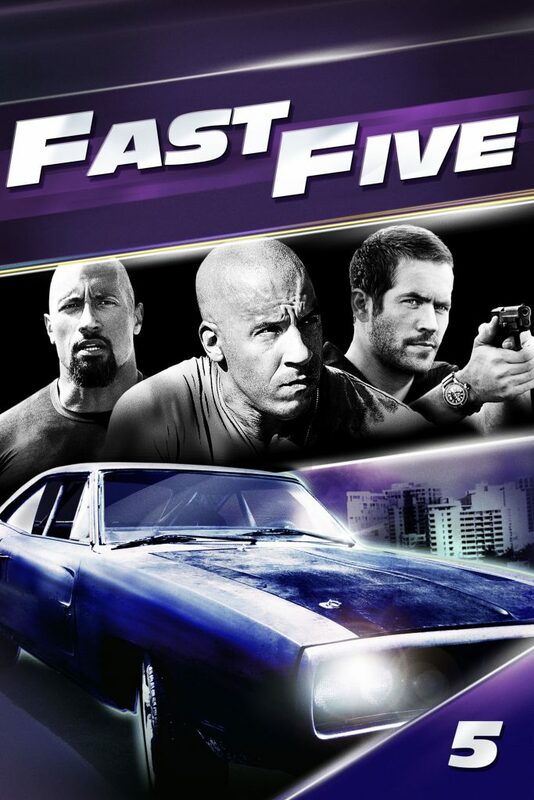 I don’t know about the collection of-of super cars, but we have this huge Fast And Furious poster collection for you. And if you believe in the law of attraction, then it may someday be yours. So, ultimately, we are giving you a huge collection of super cars (it sounds as stupid as the law of attraction). 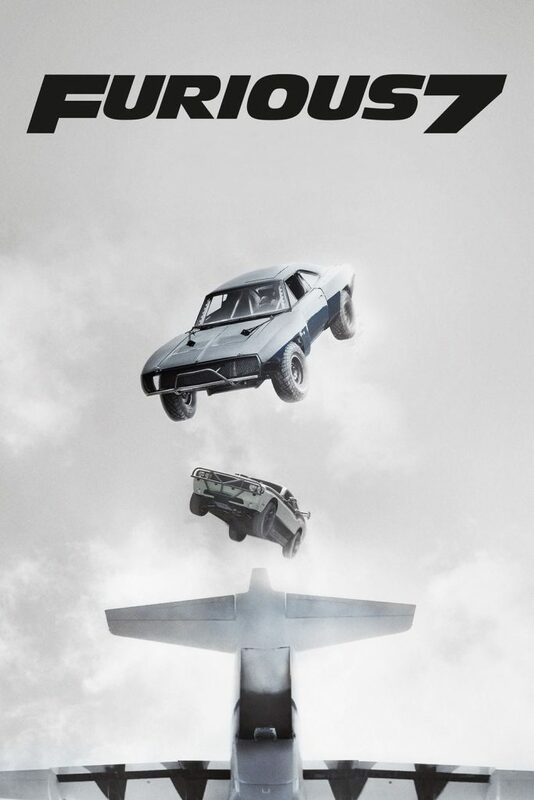 Let’s start our fast but not so furious journey, with this post of “ Fast And Furious Poster Collection”. 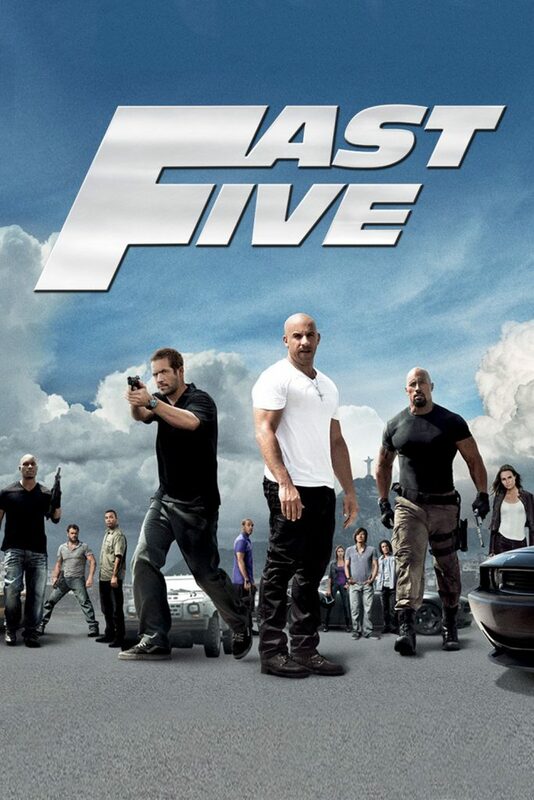 The movie series is based on all the illegal races, heists and stealing information. 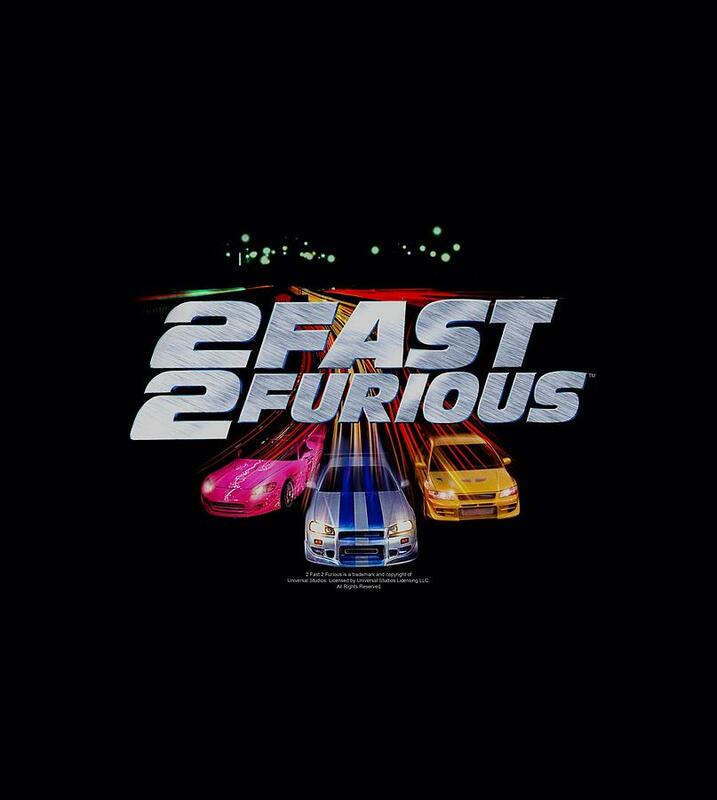 Even I learned that racing and betting is illegal only after watching this movie. 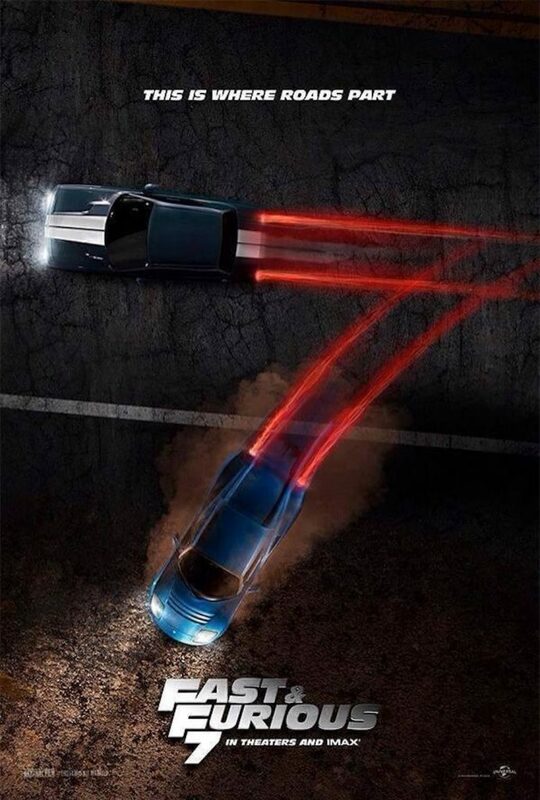 The movie includes best actions including cars stunts, heists and hilarious comedy too. The movie first released on 22nd of June in 2001. It really freaked out all super car enthusiast. 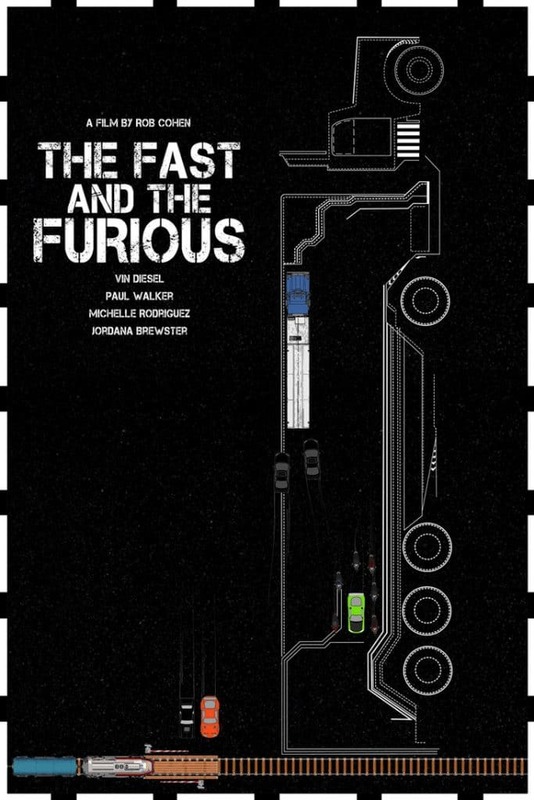 The movie is based on the street racer and suspicious hijacker, Dominic Toretto, played by Vin Diesel, who is the leader of a street racing crew, with whom, he hijacks many trucks to steal things which are mostly related to cars. 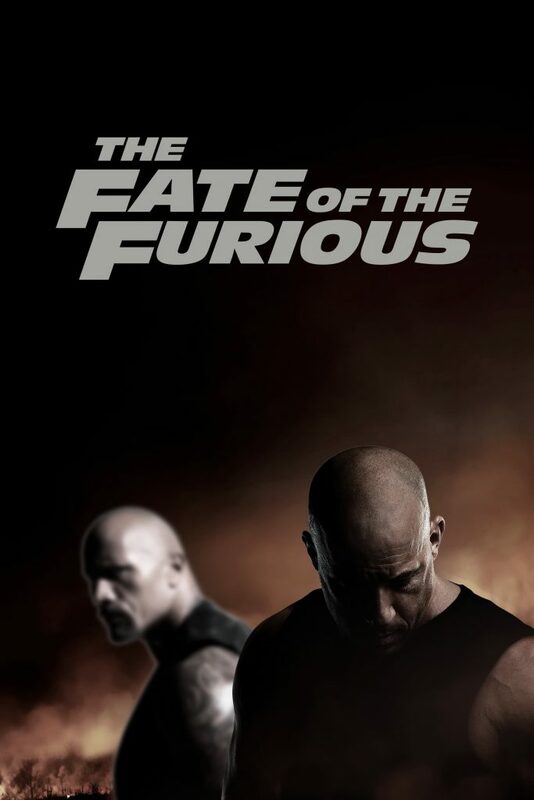 P.S- I don’t know what Rock is doing in the poster of The Fast And The Furious. For stopping all the heists caused by Dominic, a police officer Brian O’Conner, played by Pauk Walker, collects all the information about Dominic and his team by joining them. He also had a chance to arrest Dominic. When Conner had a chance to arrest the criminal, whom he was chasing from a very long time, Conner not only let him go, he even gave his own car’s key to let him run away. And then Conner became a family guy for Dom. 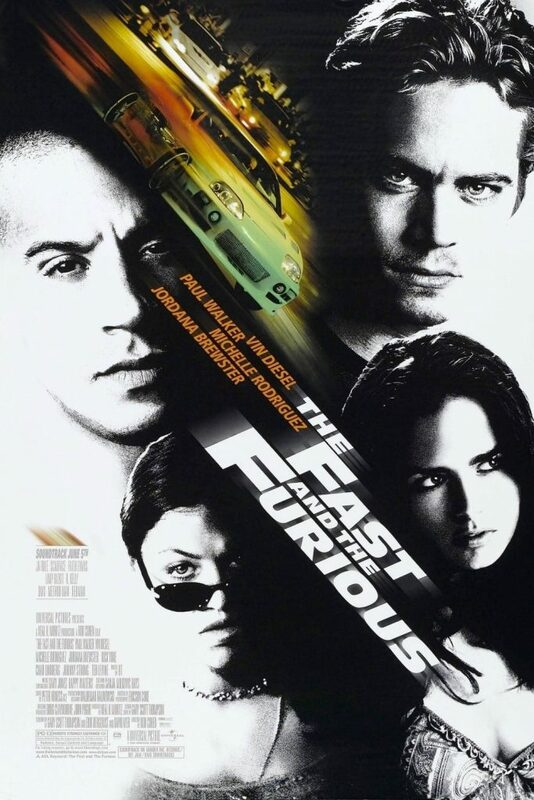 The movie released on June 6, 2003. 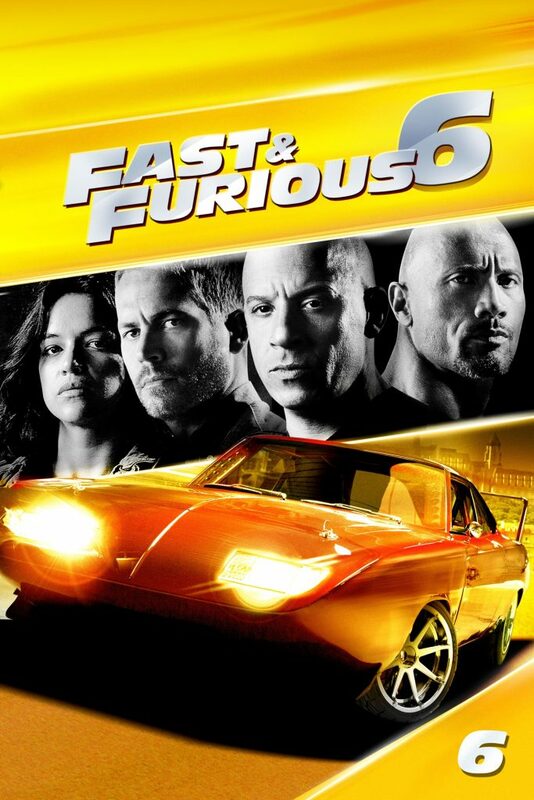 This is the only Fast and Furious movie, which don’t feature Vin Diesel. 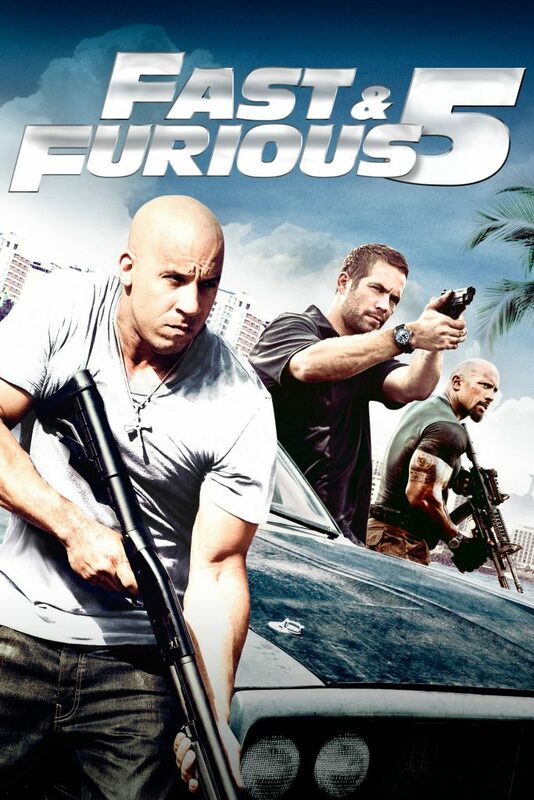 The movie earned only $223 million on a budget of $76 million. 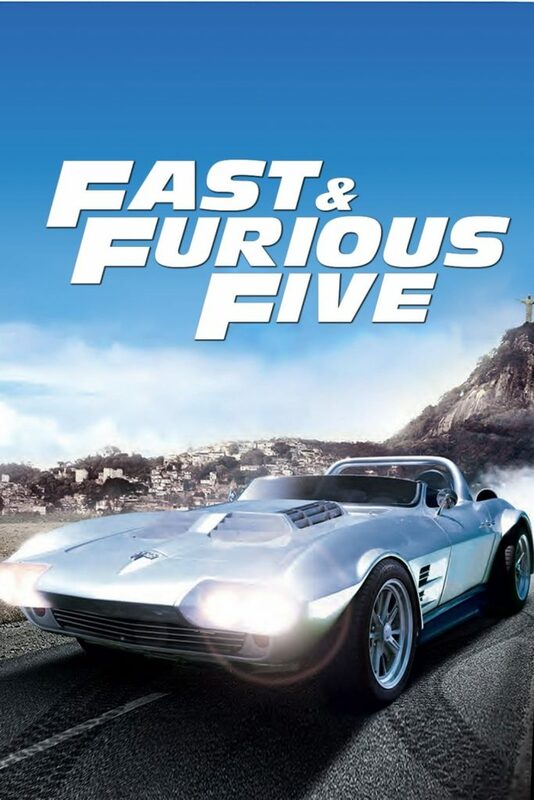 Even though it was not a good collection compared to other great movies of that year, like Lord Of The Ring, Pirates Of The Caribbean and Nemo, it was a pretty decent collection for an action movie based totally on cars, as people were not as crazy for cars as they are now. 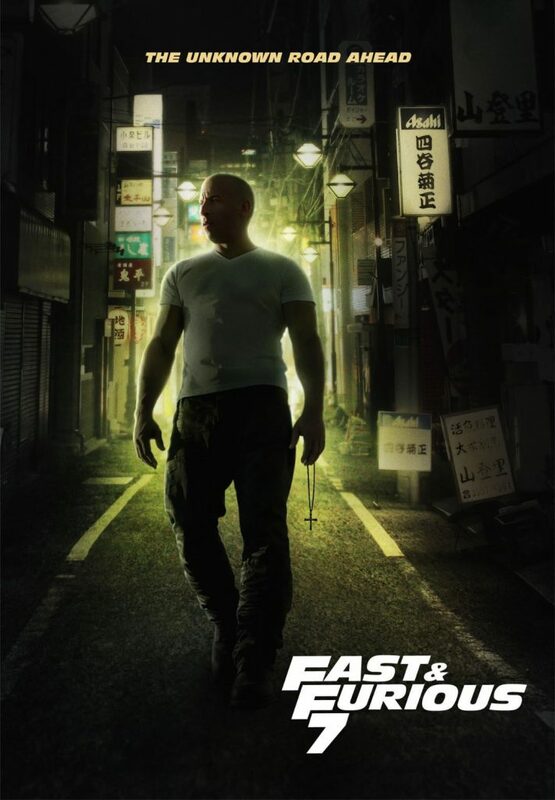 The most important thing this movie series teaches us is that speed either kills you or make you bald. Dying is not a big deal, but hairs are important. So don’t cross speed limit. 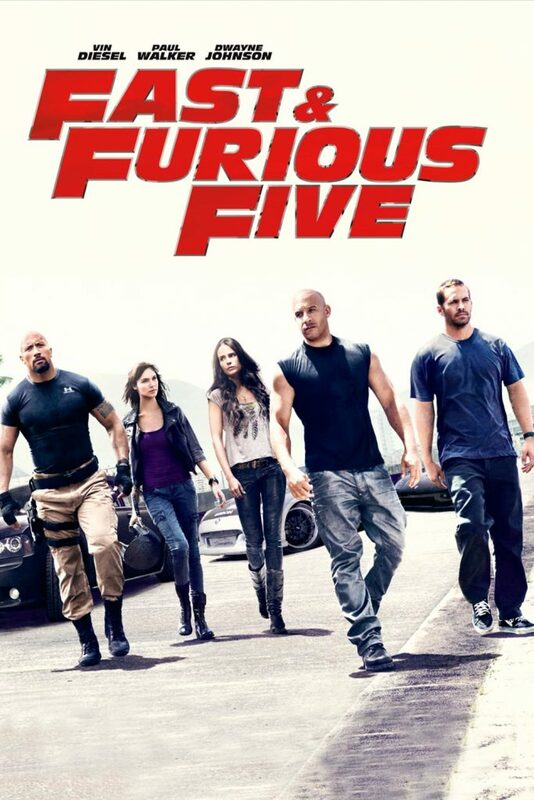 Just giving you a reason to watch this movie besides cars. In the movie, Conner is going to work as an agent once again. This adventure is going to be super awesome. 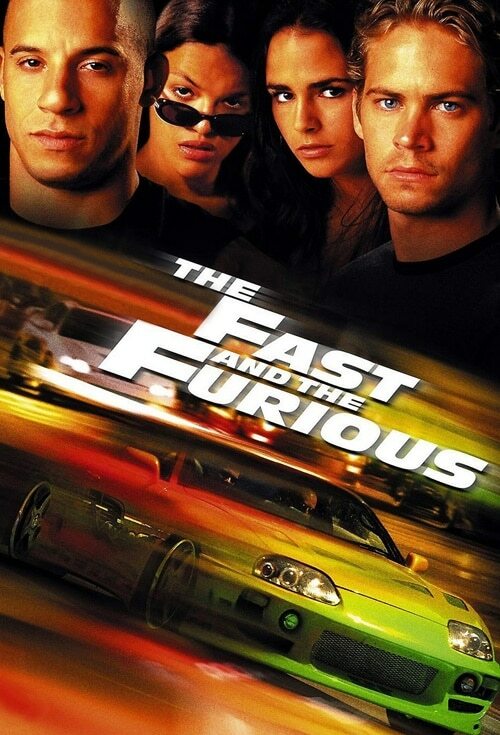 The movie was released on 16 June 2006. 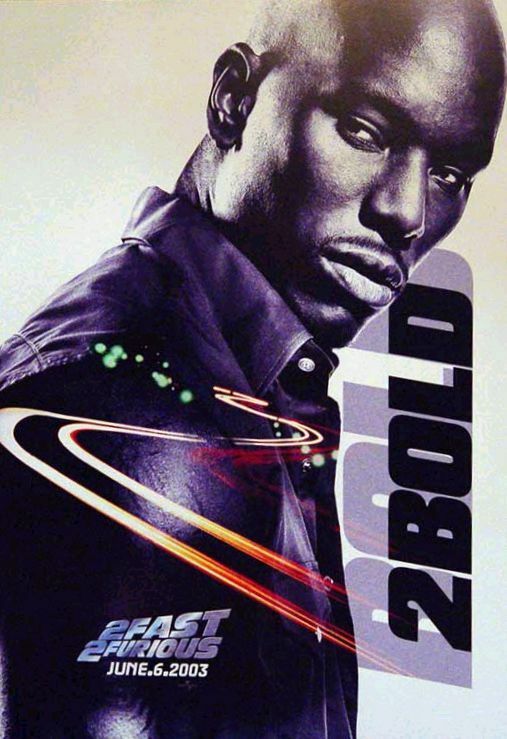 This was one of the theatrically released posters used to market the movie. It seems like, producers were so motivated, that they didn’t give up. 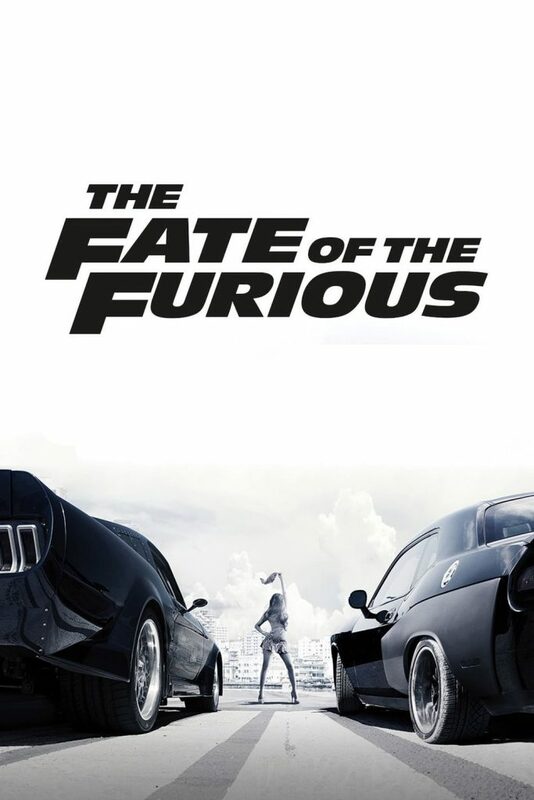 This movie (too) didn’t earn as much expected. 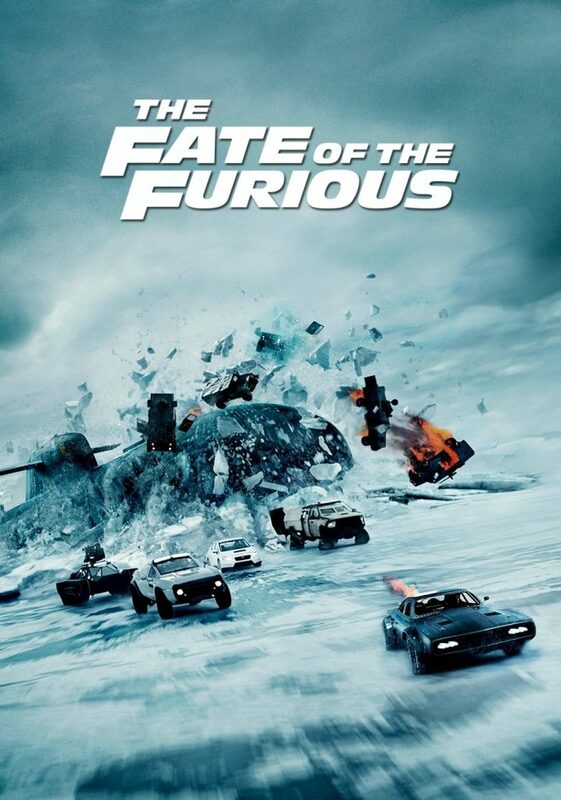 The box office collection of the movie was around (just) $150 million on a budget of $85 million. 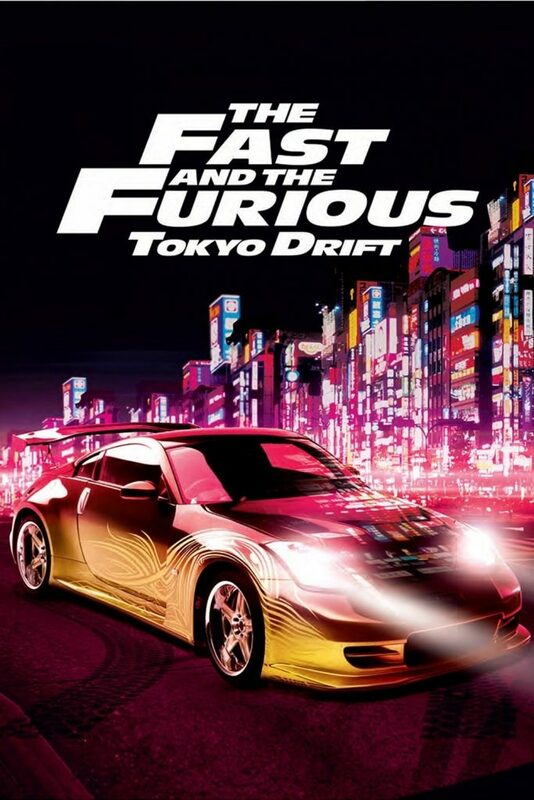 Drift King, aka, DK, is anyone who is the best at drifting sports cars. Obviously, the villain of the movie is the DK in the beginning. 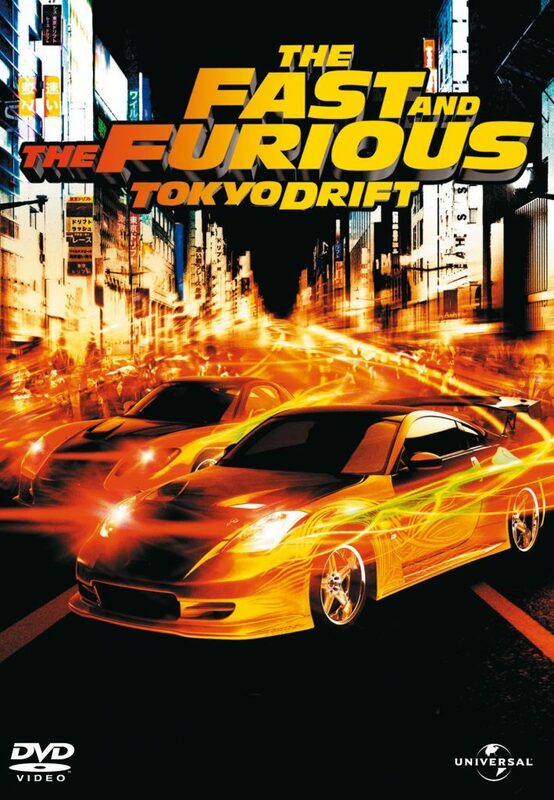 The real drift king, Keiichi Tsuchiya (It took me 2 days to type that) is featured in the movie. He is a professional race car driver. Many stunts in the movie were performed by him for the movie. 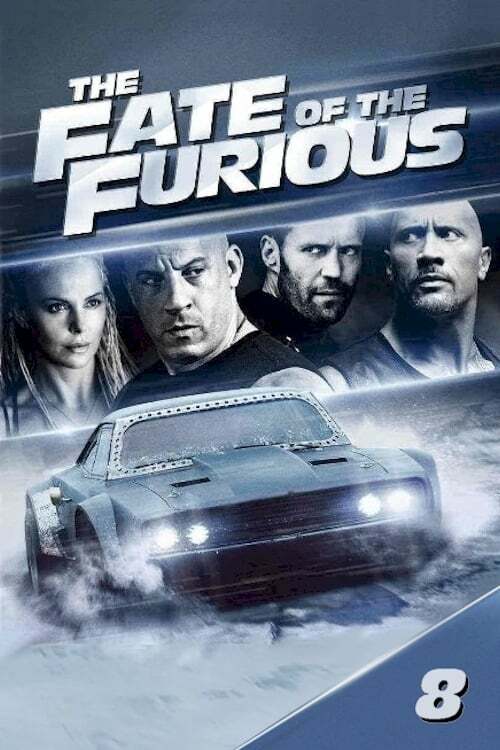 Chronologically, you should watch this movie after watching all the parts of the series (as it has nothing related to F&F series except it has super cars in it) because in other installments of the series, Han, who will die in this one, has been shown in many scenes. 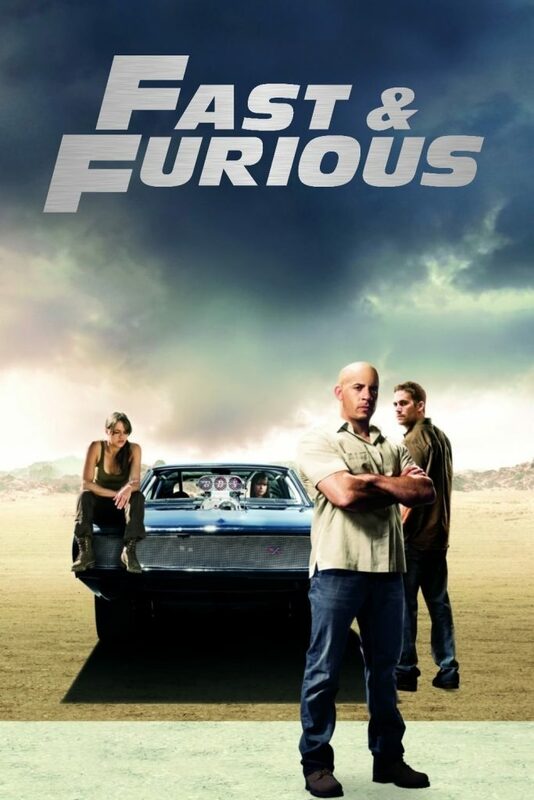 The movie was released on 3rd April 2009. 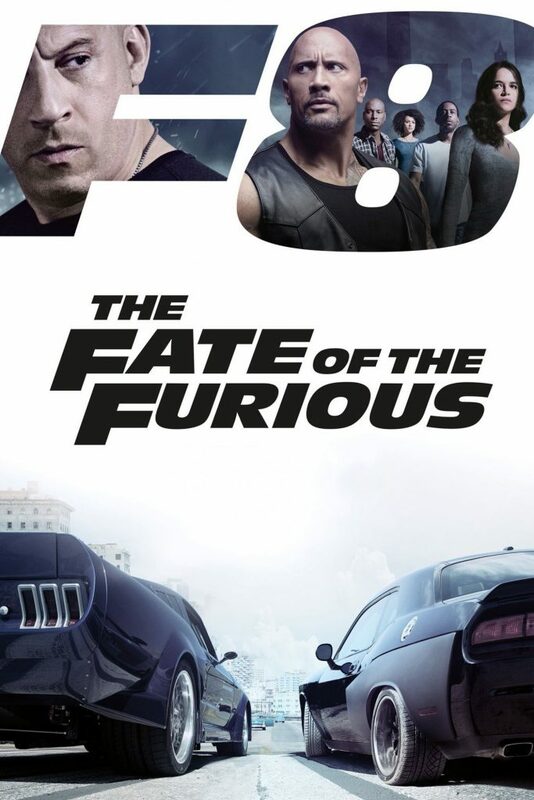 Even though the movie got only 29% from Rotten Tomatoes, which is very bad for an action movie, it still managed to make its fortune. The movie earned than $350 million on a budget of $85 million. Personally, I hated this part of the movie and don’t know why it was so popular rather than the first part of the movie. According to Common Sense Media, the movie is “Better than last two but still pretty mindless action”, which is a pretty true statement. I think they were just passing their time by making those movies. 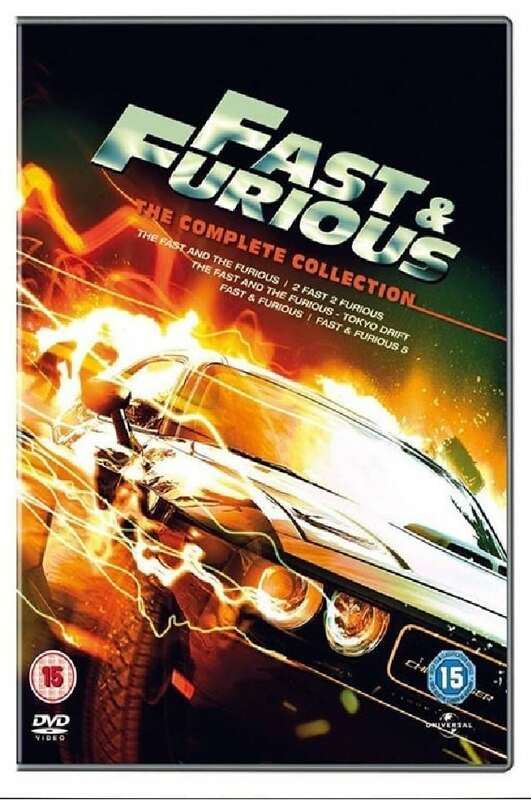 Yeah, that I said it is the best movie series for the car enthusiasts, but this one was a nightmare. I will provide the link at the end of the post to their website. The movie brings Conner back to working for FBI, again. It looks like Conner has left FBI, just to join and work for them unofficially in every other movie. 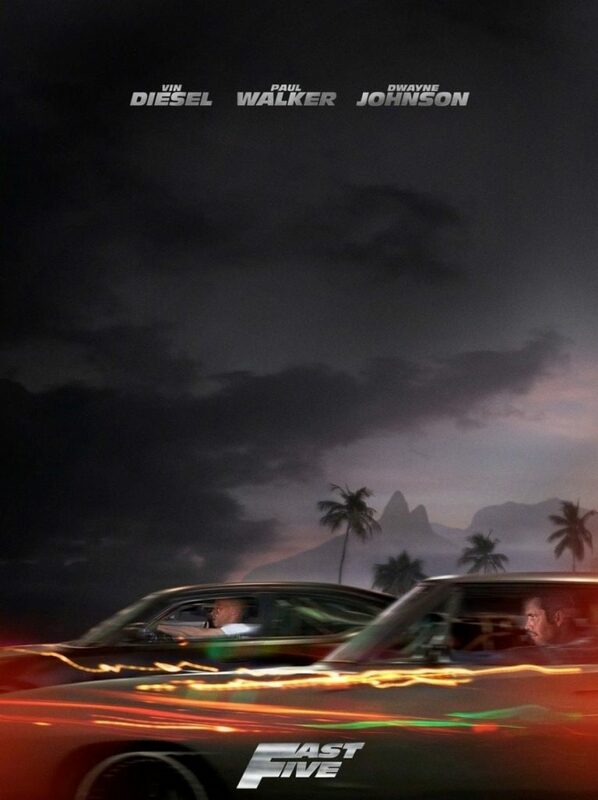 P.S.- This poster looks amazing, but its as stupid as me. The longer you stare, the more stupid it becomes. If you have watched the first movie and liked it for the team, then you may love this movie, because they are back again. But read carefully, I said “you MAY love it”, so watch it at your own risk. 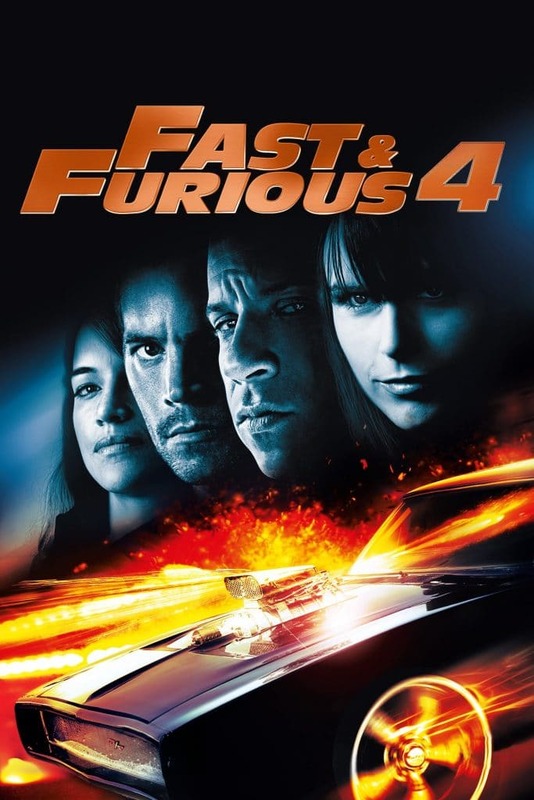 The movie was released on 29 April 2011. It was a pretty impressive film on the basis of action and plot, but what went wrong? I will get to this later. The movie series was on its route now. 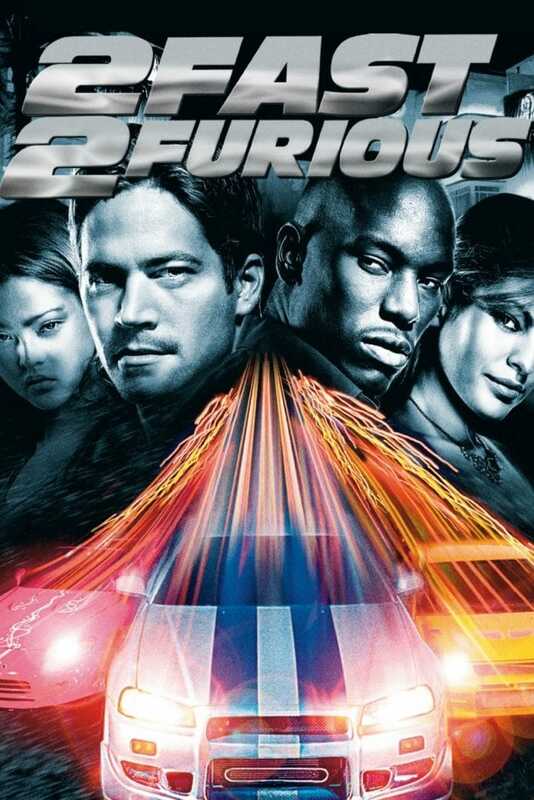 This movie changed the future of the whole series. The movie made more than $600 million on budget of only around $125 million. I thought this was only me, but many people said that the movie was too much predictable. But still, there is so much to enjoy in the movie. Seeing the coolness of Conner, another government agent Luke Hobbs, played by Dwayne Johnson, joins the team and he is going to be much more awesome than the existing members. 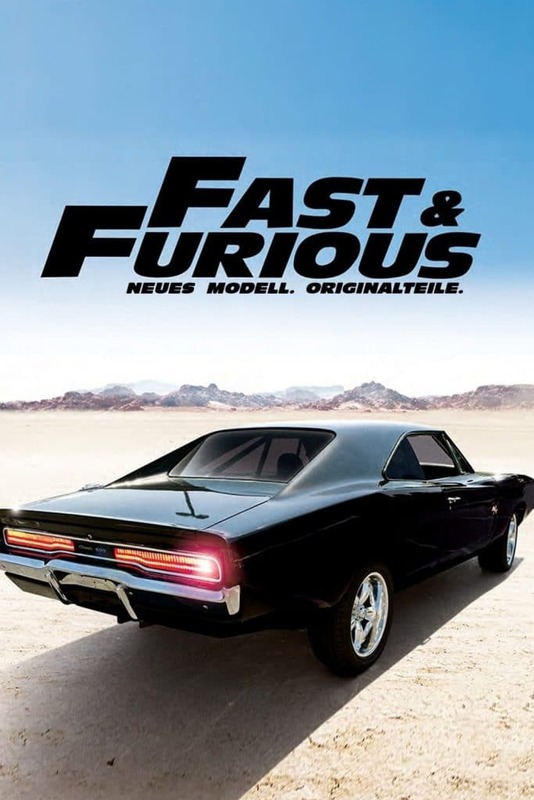 The movie will have many new cars, and some 2 wheelers too. In my opinion, this movie is awesome, but in case, you don’t believe me, like most people don’t, Rotten Tomatoes rated it 77%, check it here. 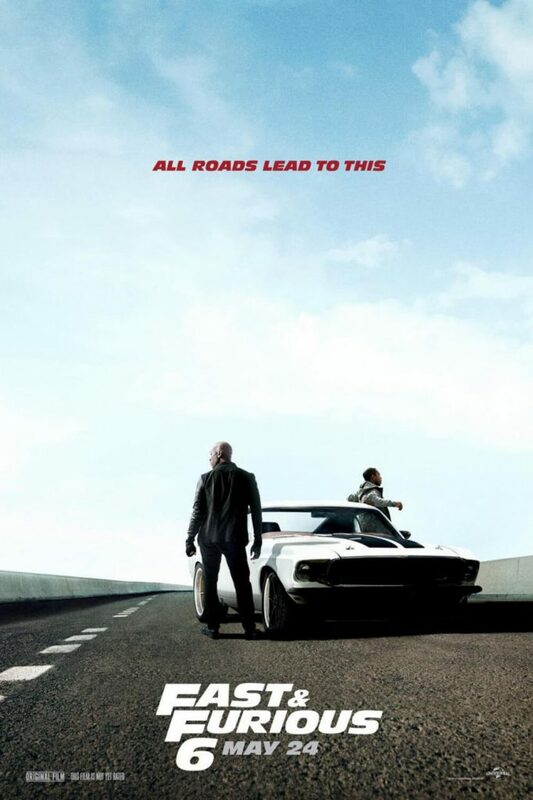 The movie released on 24th of May in 2013. 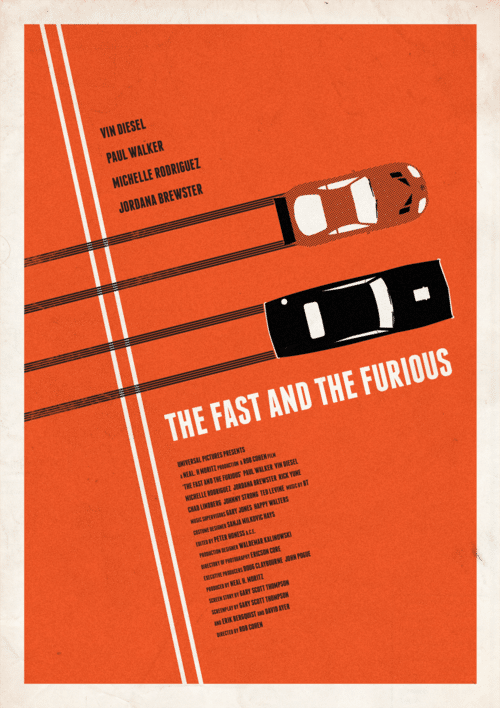 The movie was a big hit and their car was moving towards a great collection. The box office collection of the movie was almost $800 million on a budget of $160 million. That means 5 times the profit. This was the greatest success for the movie series, but the heaven is coming. 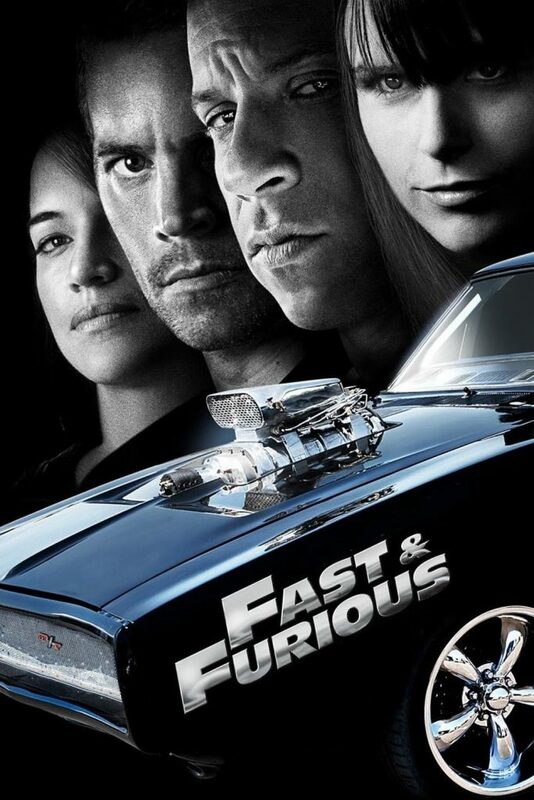 Now, the movies of the Fast And Furious series feels more like Die Hard or Mission Impossible movies. It’s like a pattern they follow, they get a new mission every time and they do some crime with it. 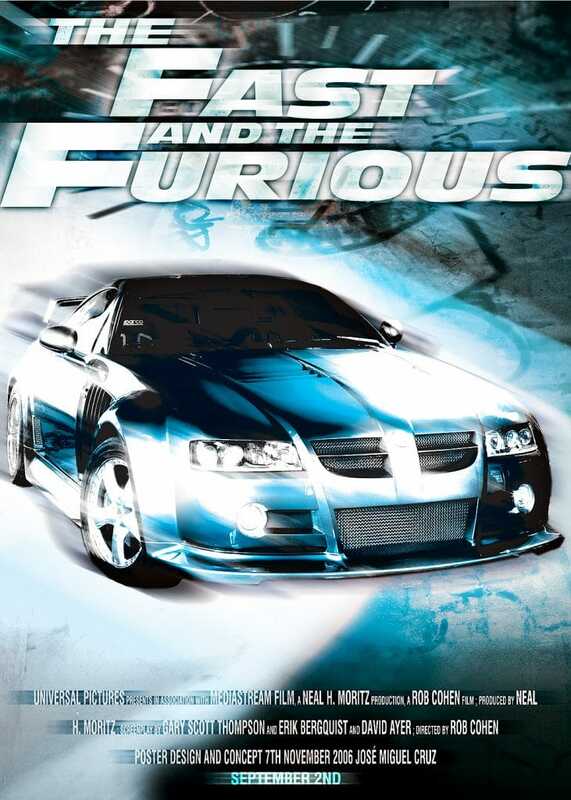 P.S.- Walker’s cars are best in every movie of the series. 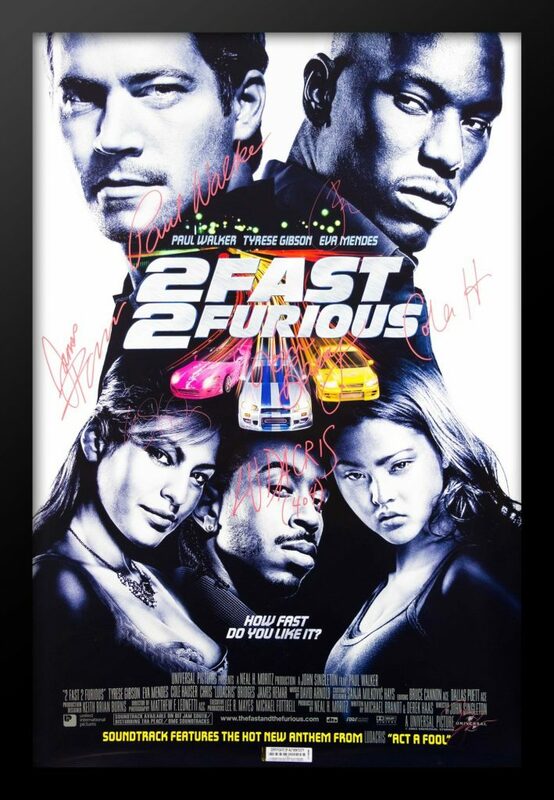 Pop Star, Ludacris and actor, Tyrese Gibson make the best duo of this movie. Boys are funny as hell not only in this movie but in the whole series. 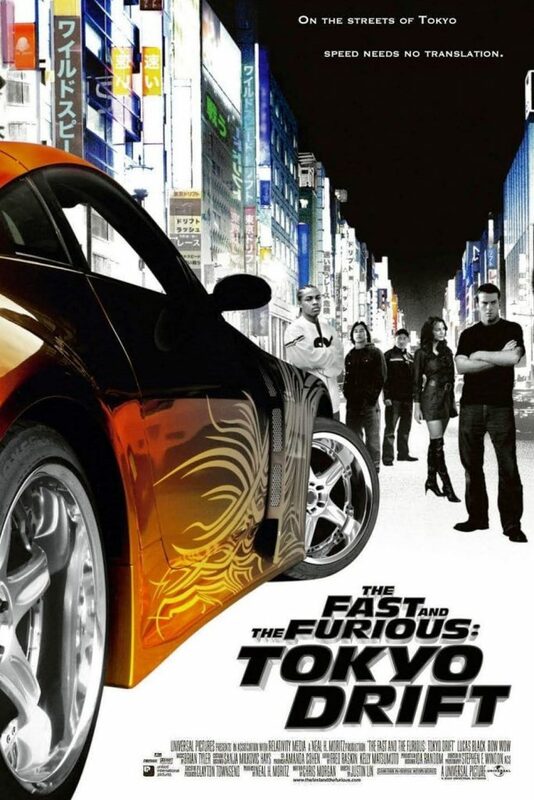 It is the best time to watch Tokyo Drift if you have watched this movie, as in the post-credit scene, Han dies in a car crash which makes Tokyo drift a prequel of the movie. Get yourself a handkerchief and continue reading because something sobby is coming. 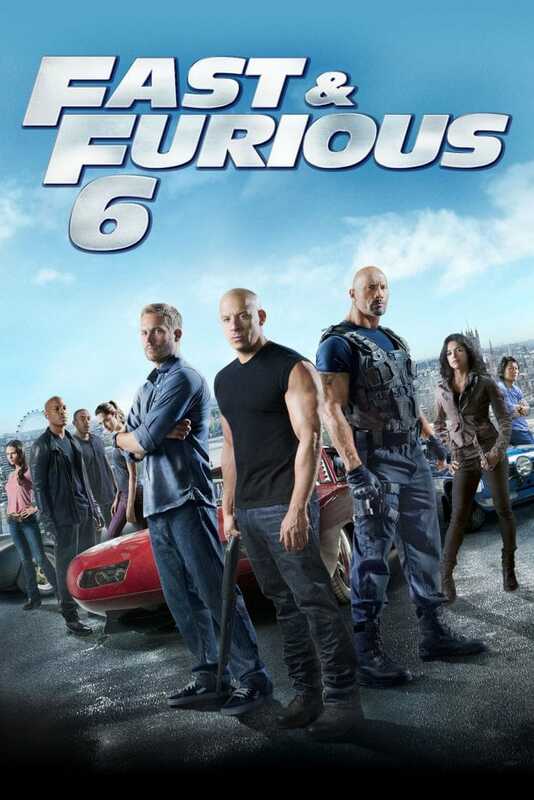 Most of the stars of the movie are the same as the 6th part. So, lets directly start with the posters. The movie was released on 1st April in TCL Chinese Theatre (I think they are not aware of April Fools Day) and on 3rd April 2015 in the US. The movie was a supermassive success for the franchise. 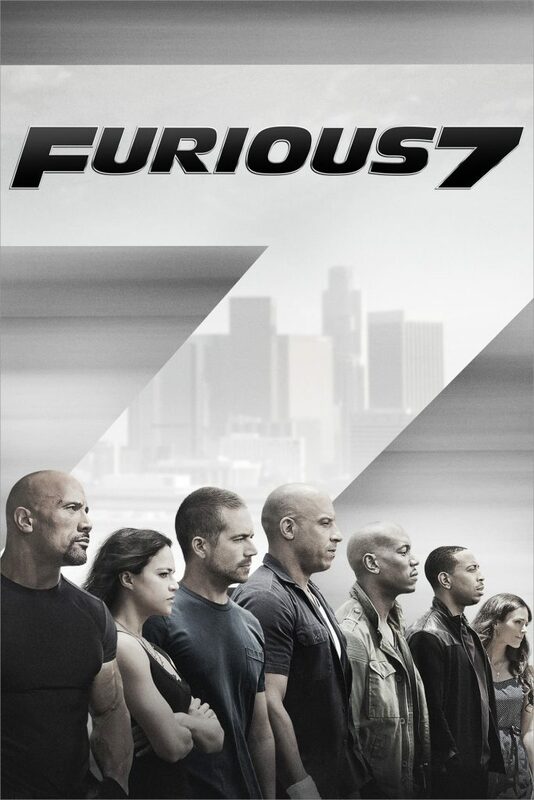 The box office collection of the movie was whopping $1.5 billion. Yes, you read that right, the movie franchise which once didn’t even touched $200 million, made more than a billion dollars. Moreover, the budget of the movie was just $190 million. Ok, this one is going to be a sad one. 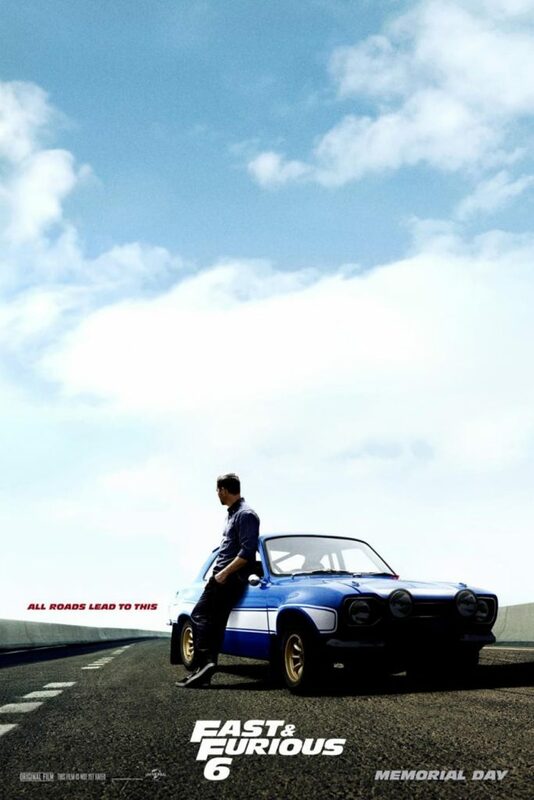 This was the last movie of our beloved Paul Walker. He died in a car accident, but he always said “If someday speed kills me, then don’t cry, I was smiling”, although there is no evidence that he actually said that, but it still a pretty awesome quote. 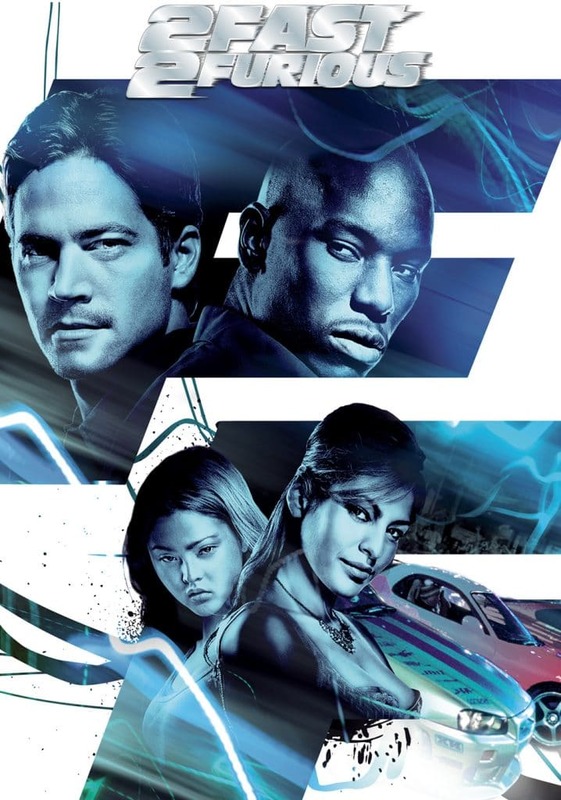 This is the best movie of the Fast And Furious franchise (and will always be) with a rating of 80% from Rotten Tomatoes, which is not so normal for any movie. I don’t think there is anyone who hasn’t listened to this song. 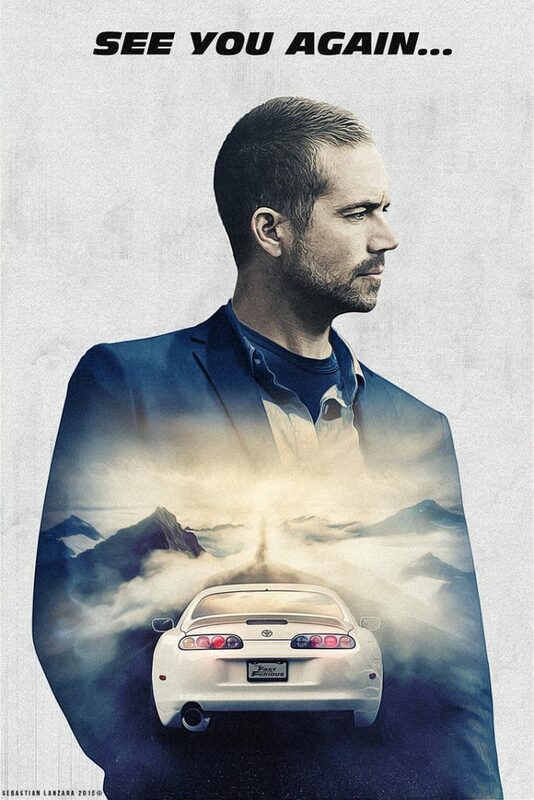 Made and played by Charlie Puth and Wiz Khalifa as the rapper, See You Again was dedicated to Paul Walker and featured at the end of the movie which gives Paul Walker’s character, Brian O’Connor as a perfect farewell. One of the saddest people on Walker’s death after his mother was Vin Diesel. I will provide a link at the end of this post where you can read about what he said on his death. Before getting to the next movie, watch its trailer first. I said the real trailer!! 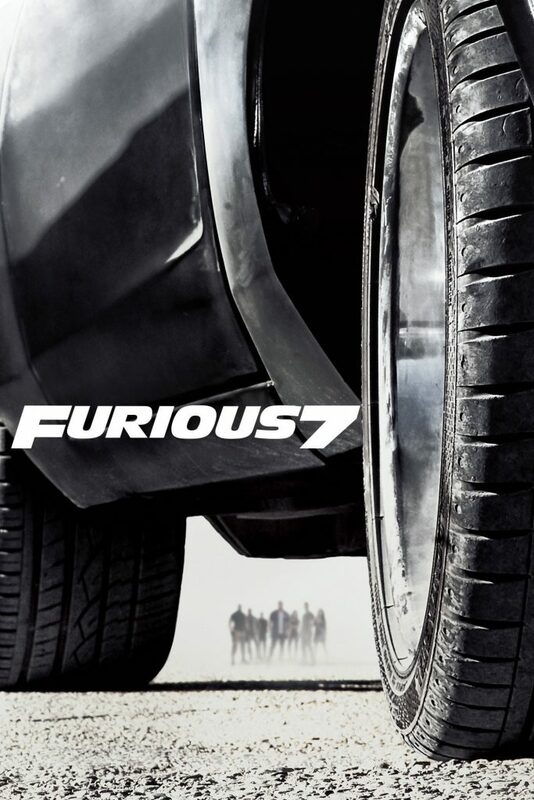 The was on a budget of around $250 million, which is much more than the 7th installment. So, it was supposed to cross the collection of the last movie, but it made just around $1.2 billion, which is a big amount but not as big as the last one. 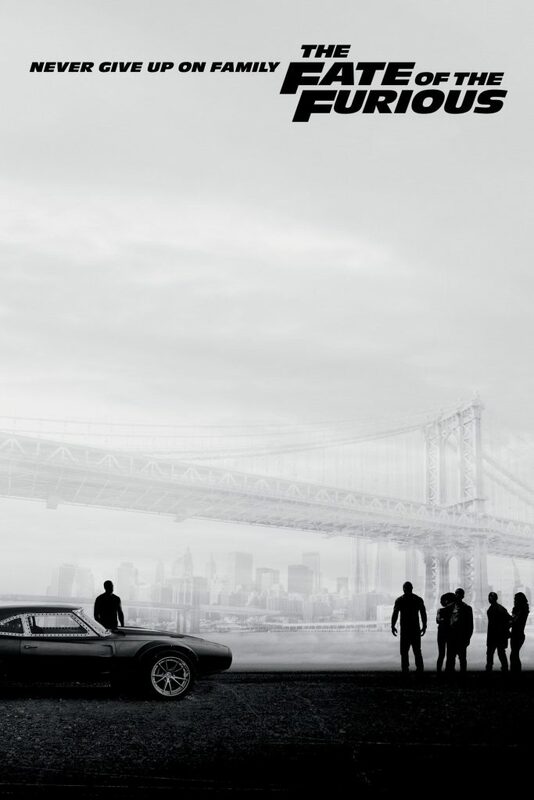 This tells us that this neither about the budget, nor about the cars, but this is about the relationship of the audience to the characters and actors. P.S.- I just realized how good the quality of this poster is. Just download and zoom it in and its so lite too. 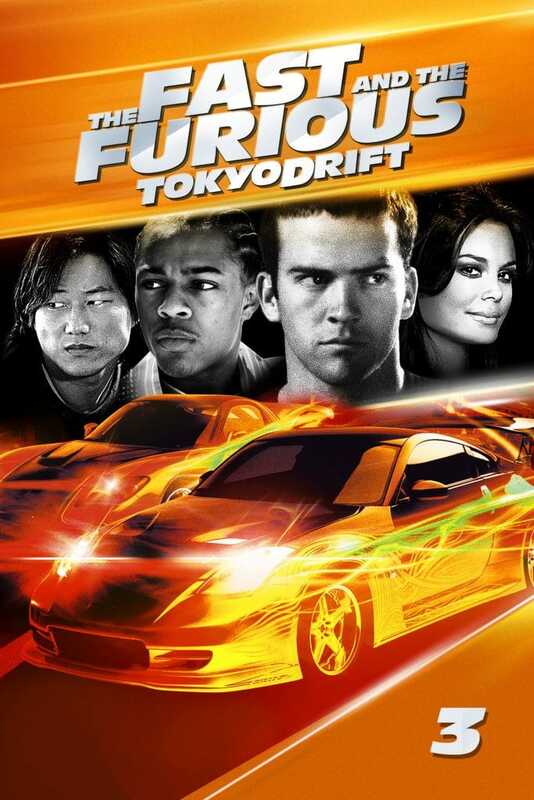 The movie features the best of the car adventure. Also, I loved the all-time favorite actor, Jason Statham. He is in the movie and with a super awesome role (as always). 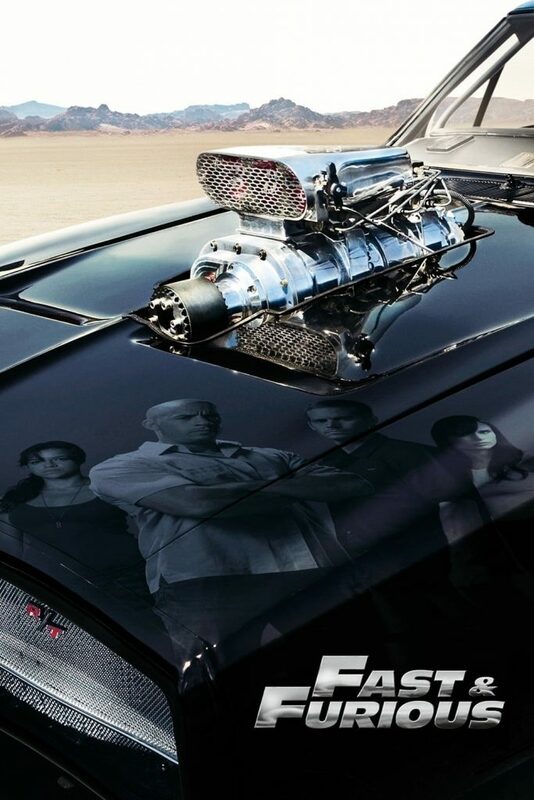 There are many things which show clear tribute to the late actor Paul Walker. You can see Brian’s car, GTR in the garage along with the tank and there are many other references. As a tribute, the son of Dom was named Brian. 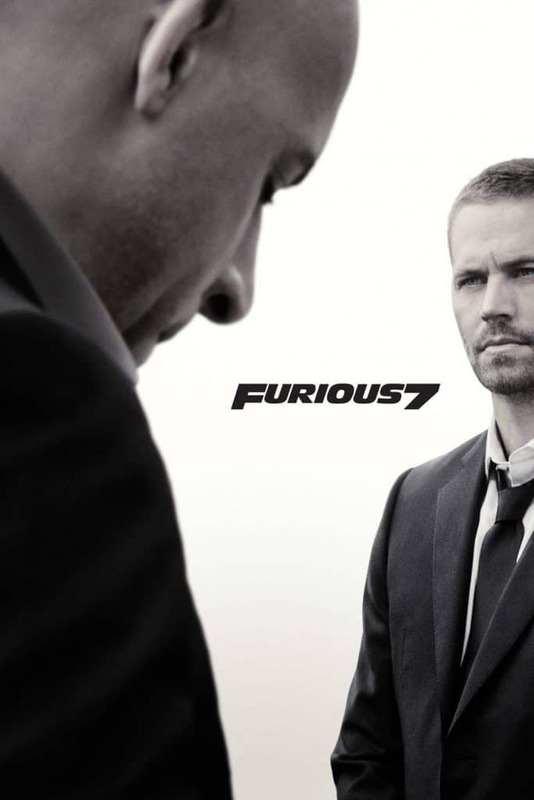 Also, in real life, Vin named his daughter Paulina, after Paul Walker. P.S- The OST of the film “Good Life” is so awesome, so listen to it now if you haven’t yet. 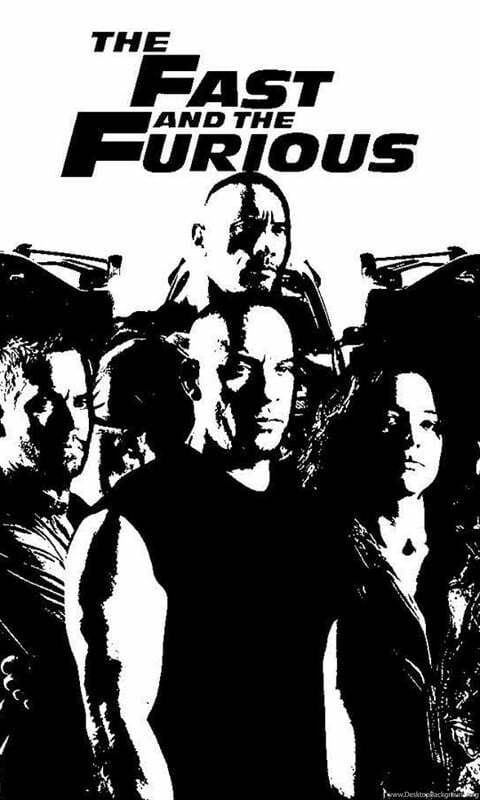 Here are some bonus posters with some great quotes which a real “Furious” will recognize. It doesn’t matter if you win by an inch or a mile. Winning is winning. Hey, we do what we do best. The money will come and go. We all know that. The most important thing in life will always be the people in this room. Right here, right now. I’ll have the tuna. No crust. You can’t tell someone they love you. Dude I Almost Had You! Yeah, Rome! How Do Ya Like Them Apples?! Police Cars Here Are Only Factory Tuned. If You Can Do Better Than 180k They Can’t Catch You, So They Don’t Even Try. You Don’t Turn Your Back On Family, Even When They Do. 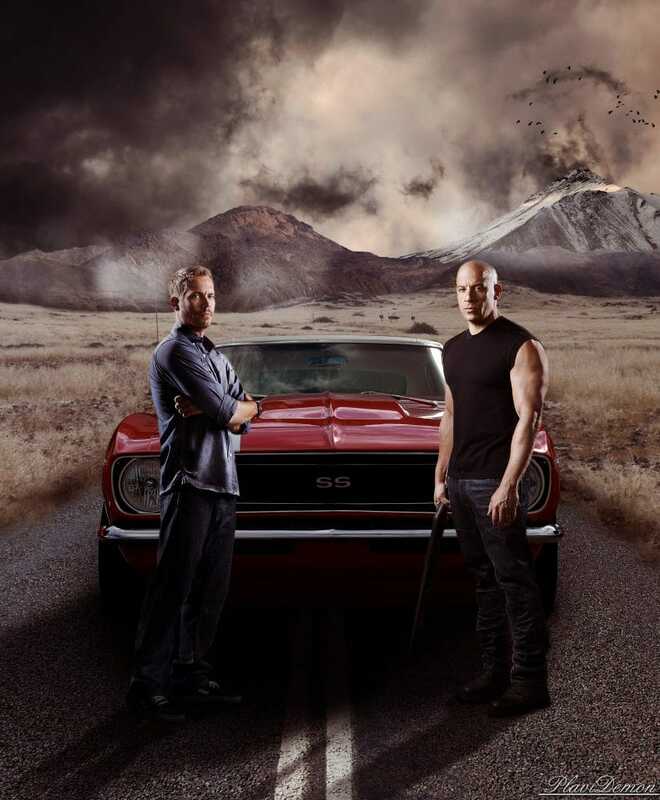 I Used To Say I Live My Life A Quarter Mile At A Time And I Think That’s Why We Were Brother. Because You Did Too. 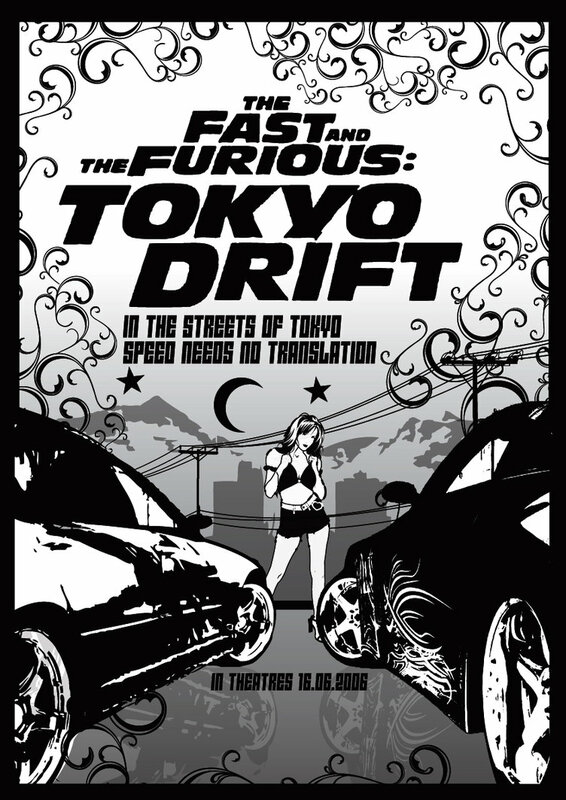 No Matter Where You Are, Whether It’s A Quarter Mile Away Or Halfway Across The World. The movies series is totally awesome. 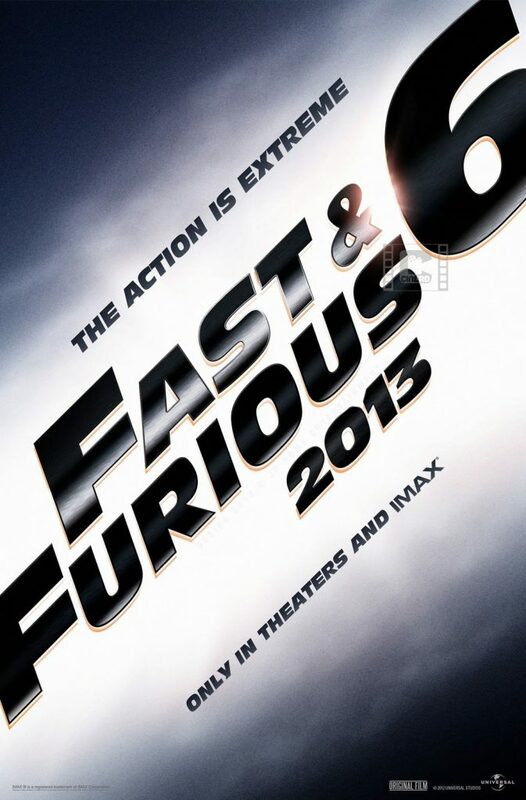 Even, before launching of the eight installments, three more movies were announced. 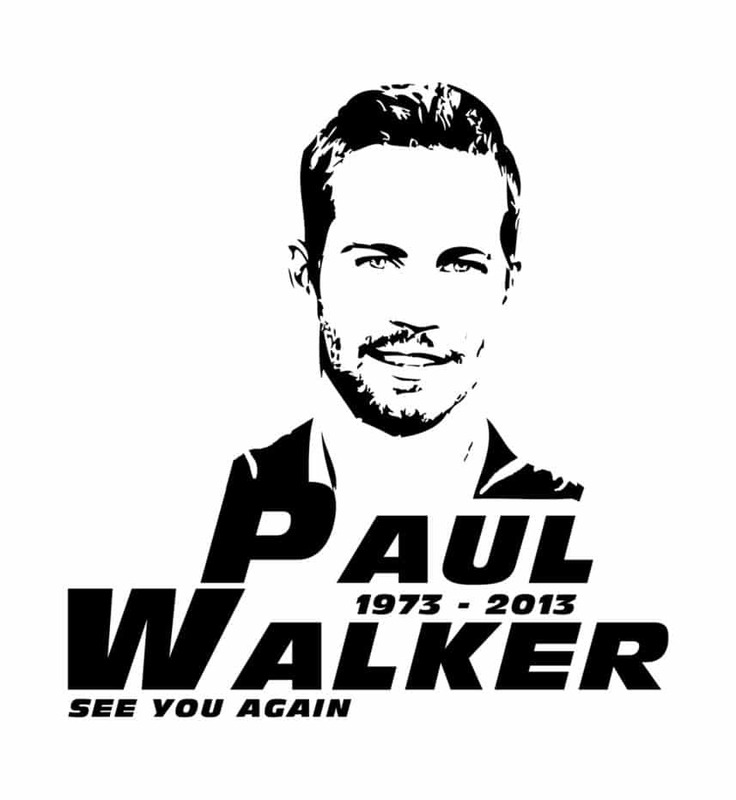 But it doesn’t matter how many will come and go, the ones with Paul Walker will always be in our heart. All the parts will be super awesome to watch, though you will need a kerchief at the end of the seventh installment. 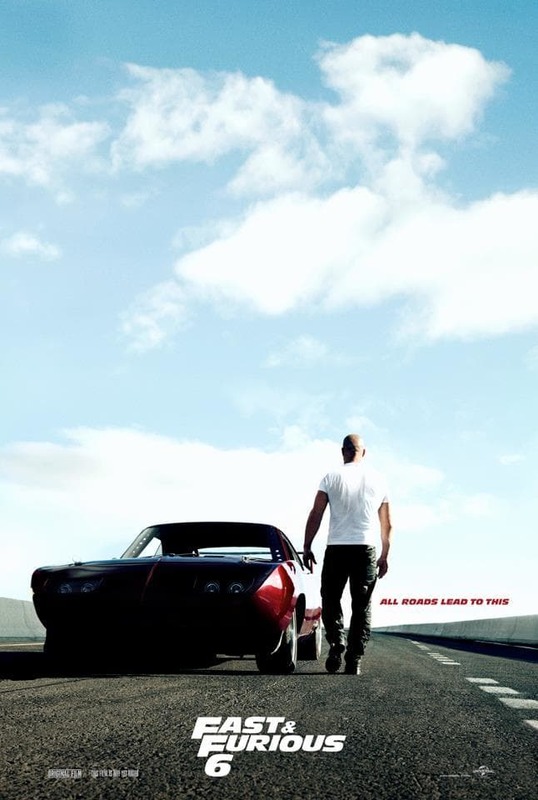 And you will need a room full of Fast And Furious Poster collection to show that you are a real fan of the series. So bookmark this site as we bring you amazing posters which are free and easy to download. Share this post with friends, and “if you don’t have friends, you have a family” then share it with them too. One last poster for you, which you may like! See You Again! 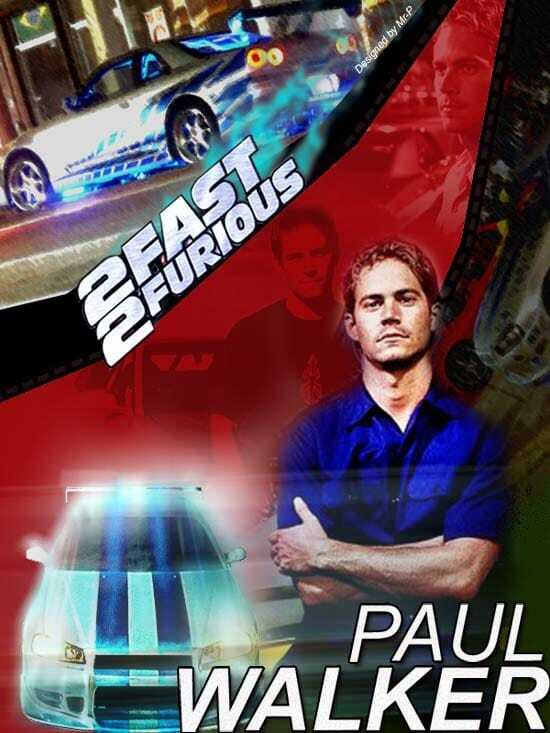 For Paul!